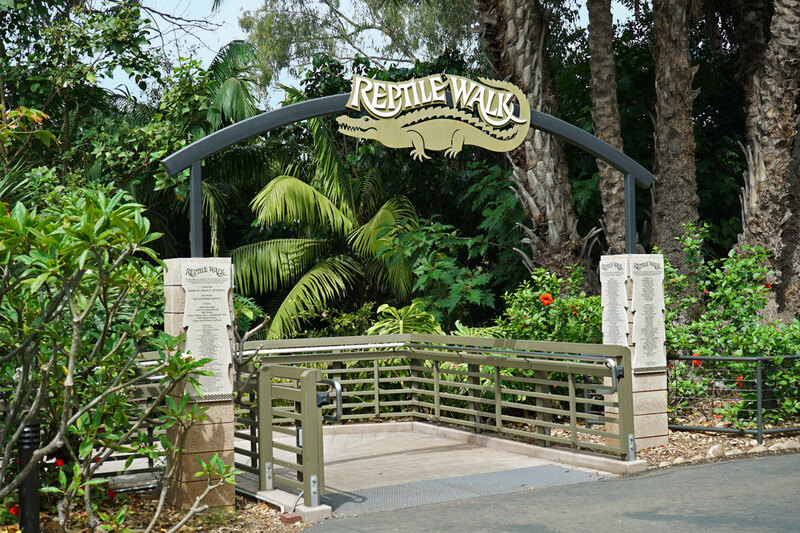 The Reptile Walk opened in 2012 and features three new reptile areas for turtles, amphibians, and Southern California's native reptile and amphibian populations. 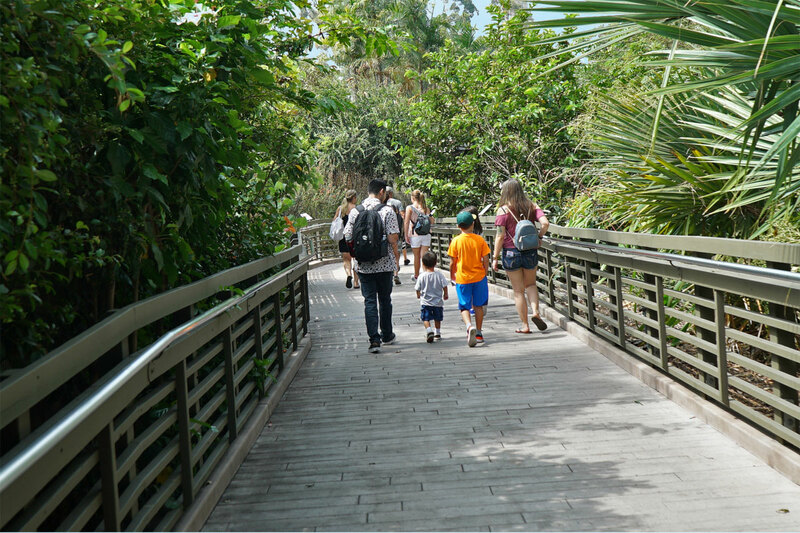 A short walk through a densely landscaped area takes us to the exhibits. 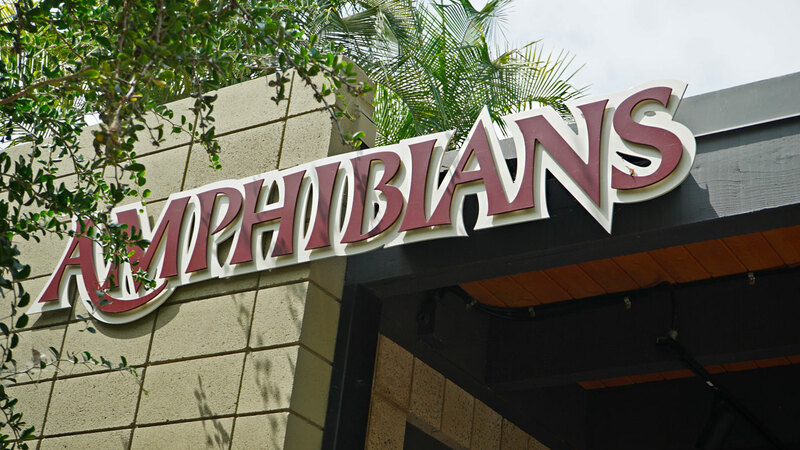 The first on our agenda is the Amphibian Exhibit. 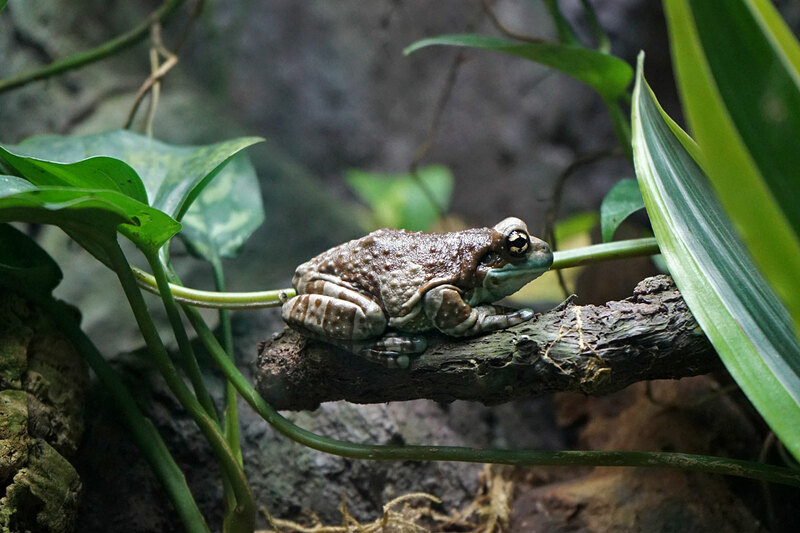 There are quite a few different species of exotic frogs and amphibians here. 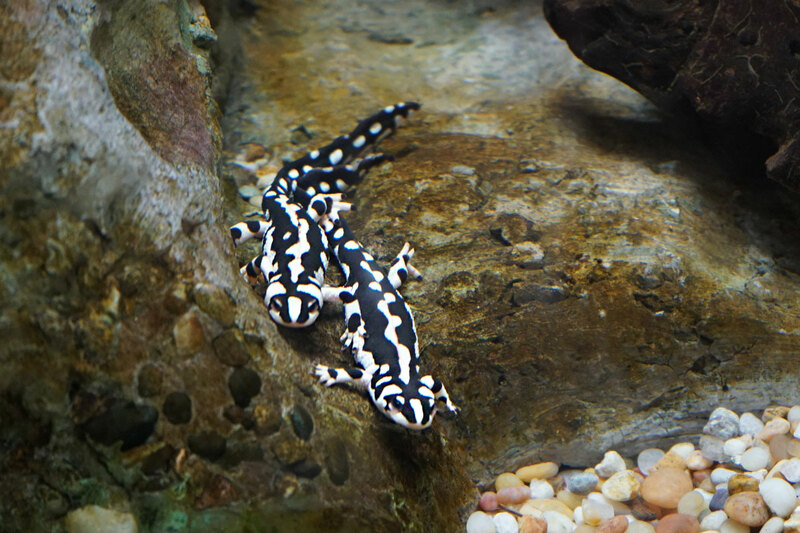 The hard part is sometimes finding them, as they love to hide within the foliage in their tanks. 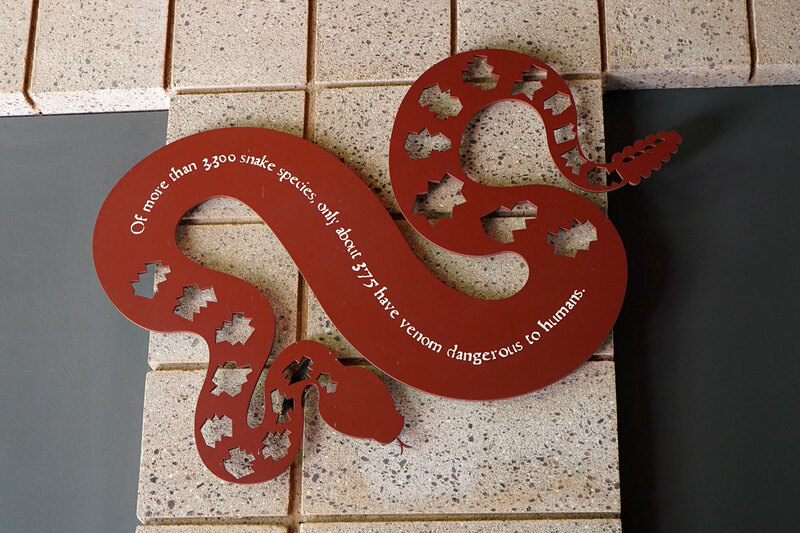 Informative signage can be seen above the enclosures. 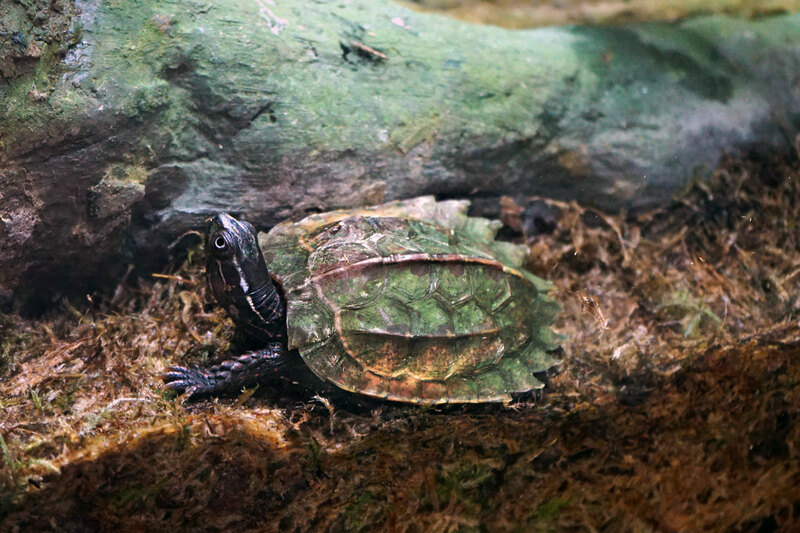 We'll begin with the Black-breasted Leaf Turtle, from southeast Asia. I'm not sure what he's doing here, as turtles are reptiles. I suppose "friends of amphibians" are allowed in this exhibit as well. 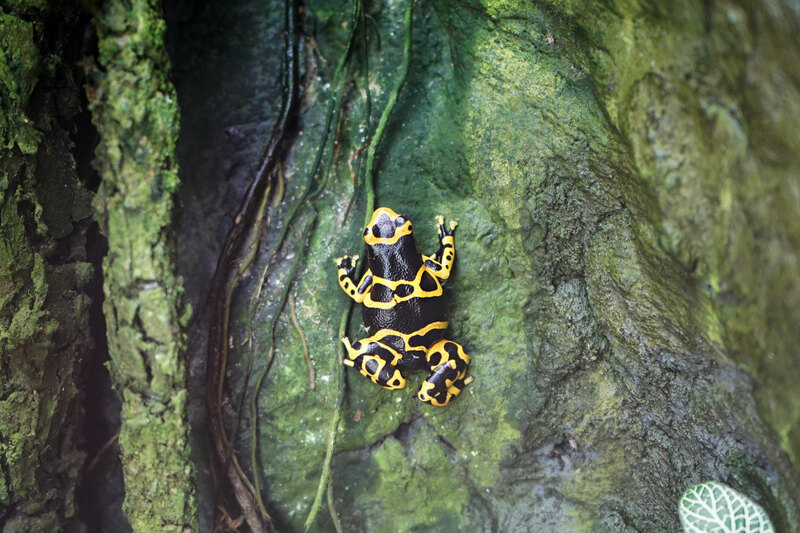 Black-legged Poison Frog, from the forests of Colombia. 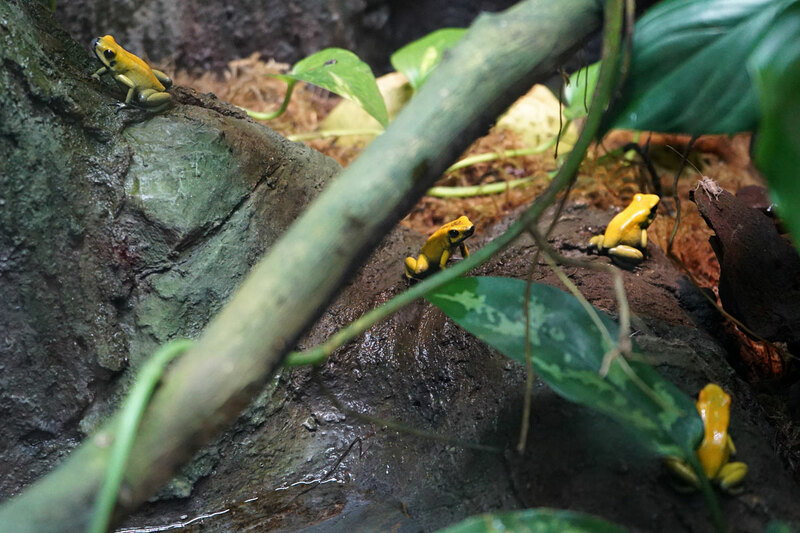 A whole bunch of Black-legged Poison Frogs. Bornean Eared Frog, from Borneo. 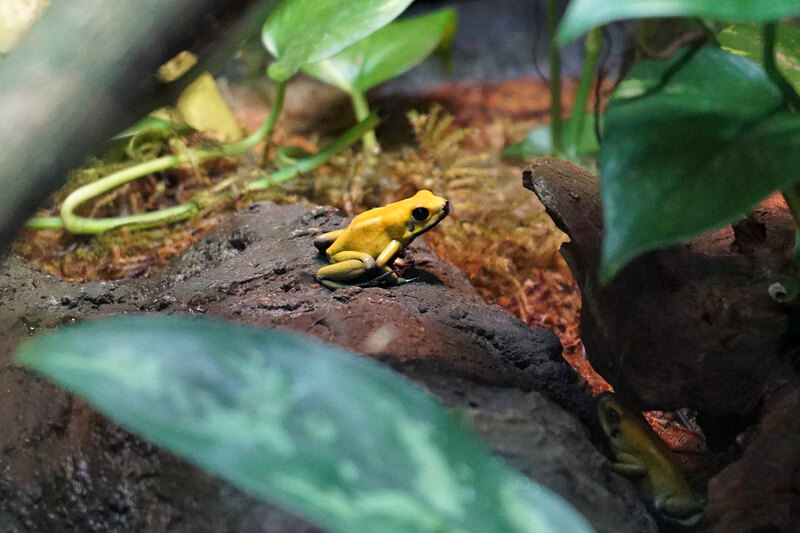 Bumble Bee Poison Frog, from the rain forests of northern South America. 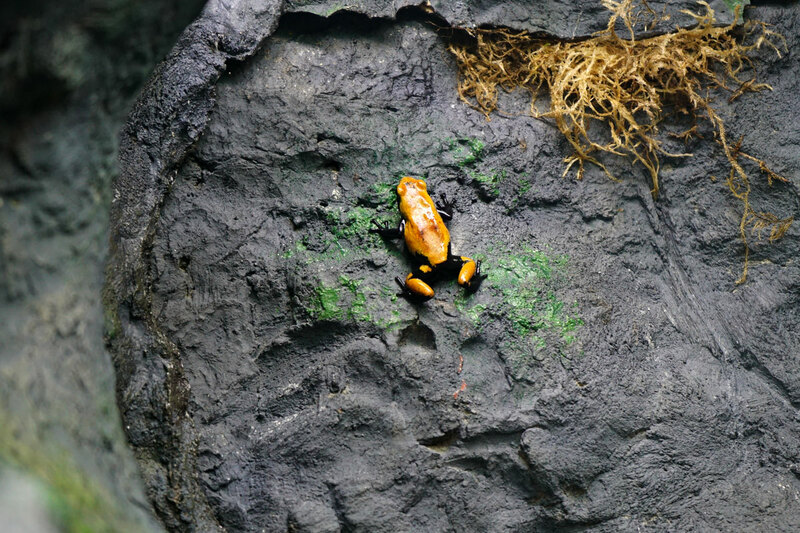 Dyeing Poison Frog, found in the rain forests of the Guianas to Brazil. 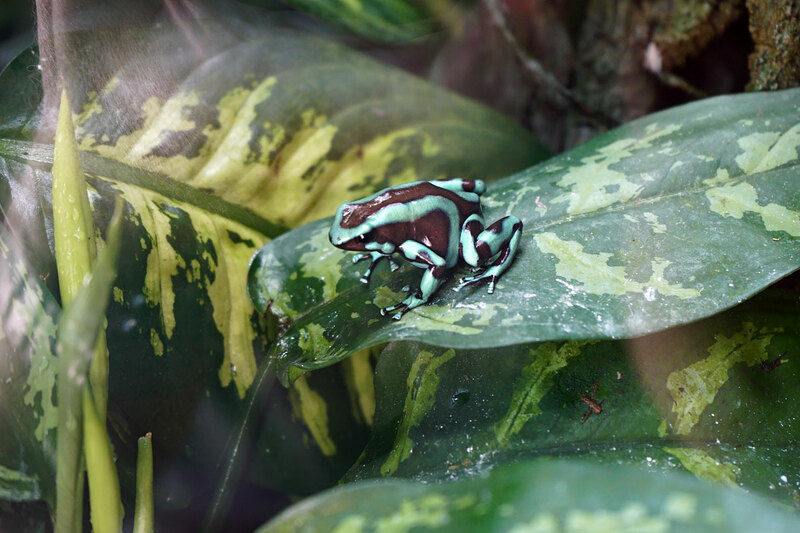 Green and Black Poison Frog, found in the forests from Nicaragua to northern Columbia. 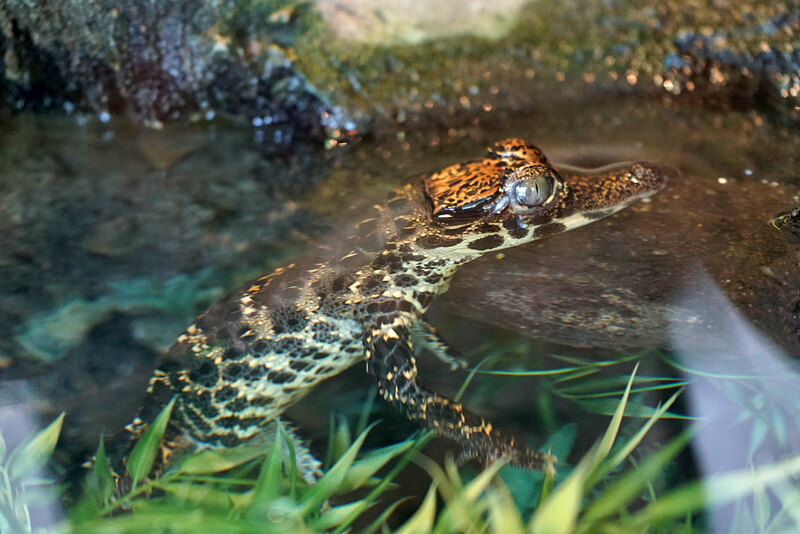 Kaiser Newt, found in Iran's Zagros Mountains. 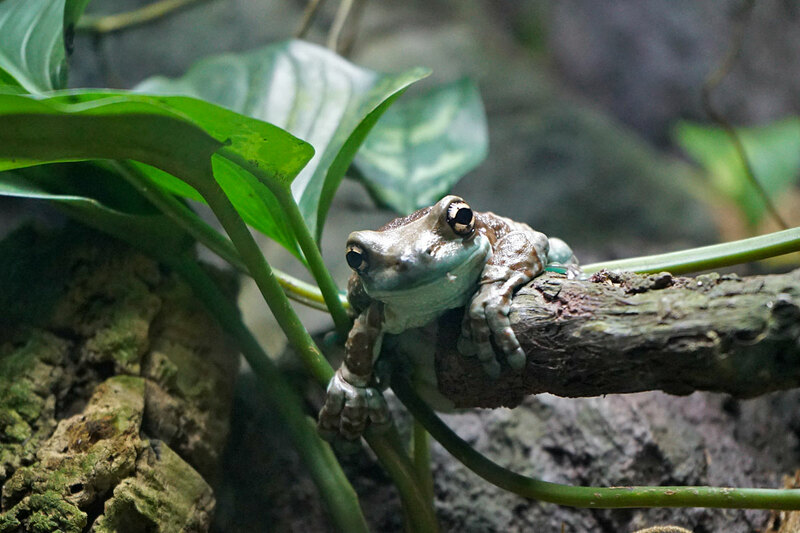 Milky Tree Frog, from northern South America. 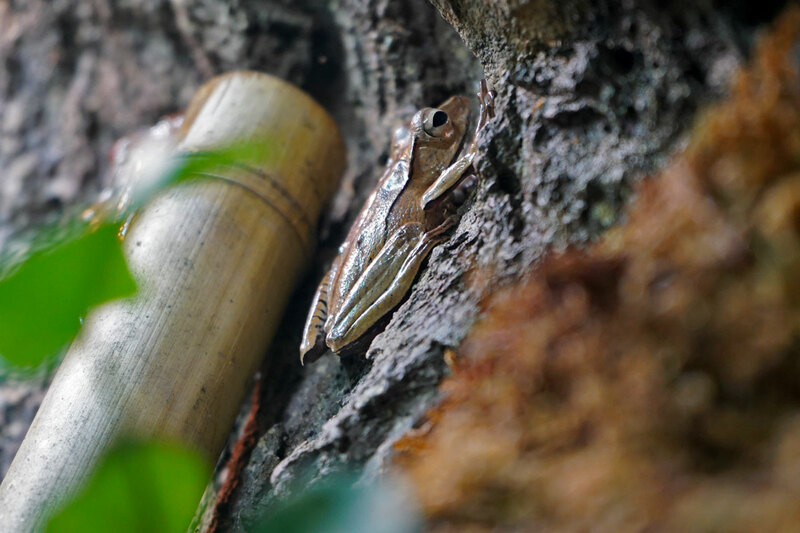 A Milky Tree Frog chillin'. 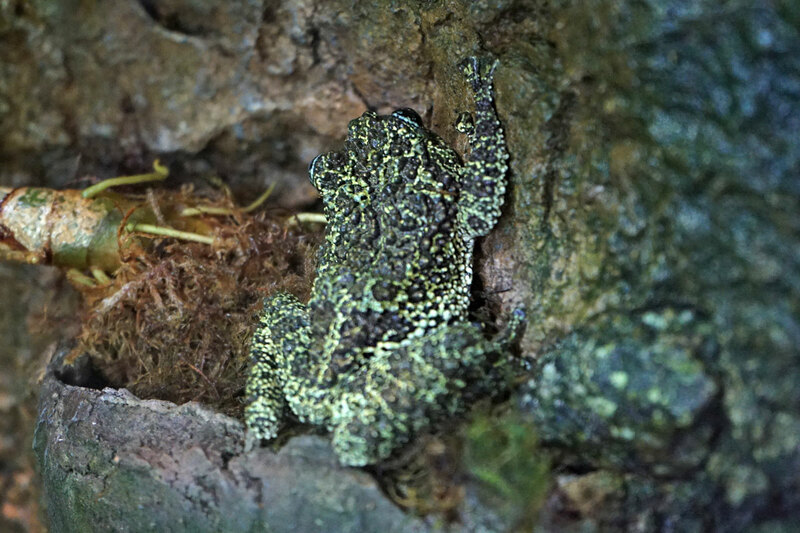 Mossy Frog, found in northern Vietnam. 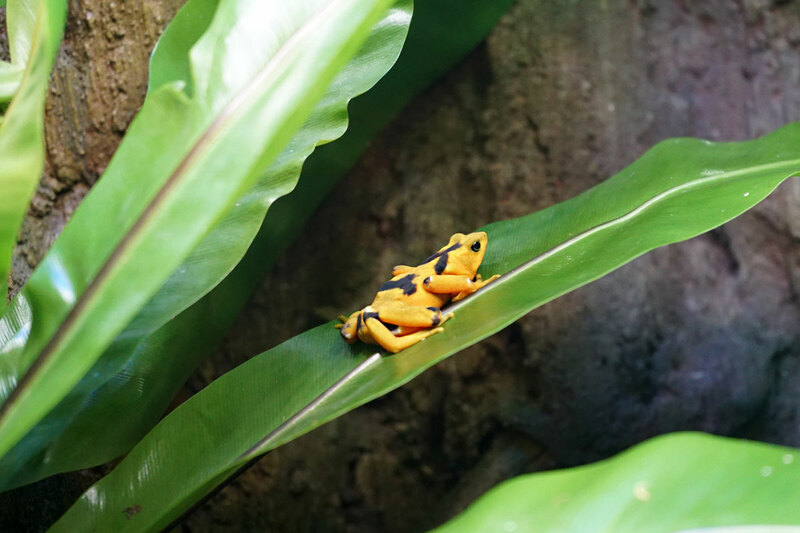 Panamanian Golden Frog, from southeastern Panama. 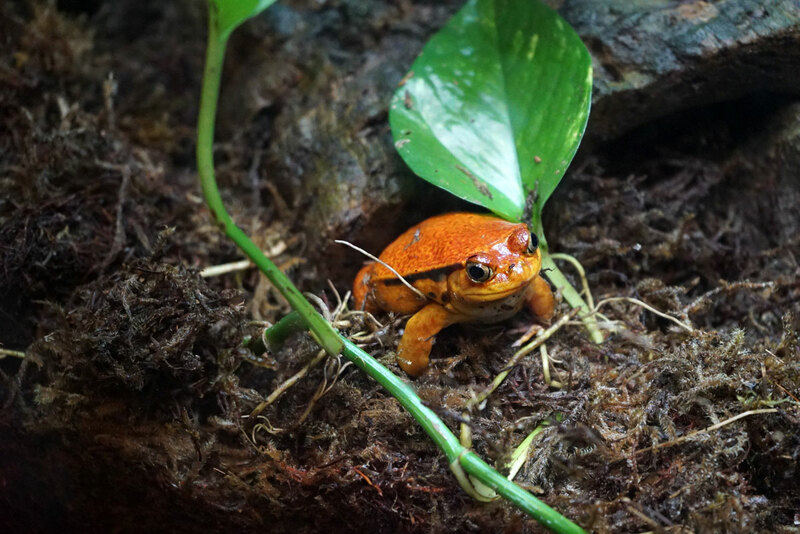 Sambava Tomato Frog, from eastern Madagascar. 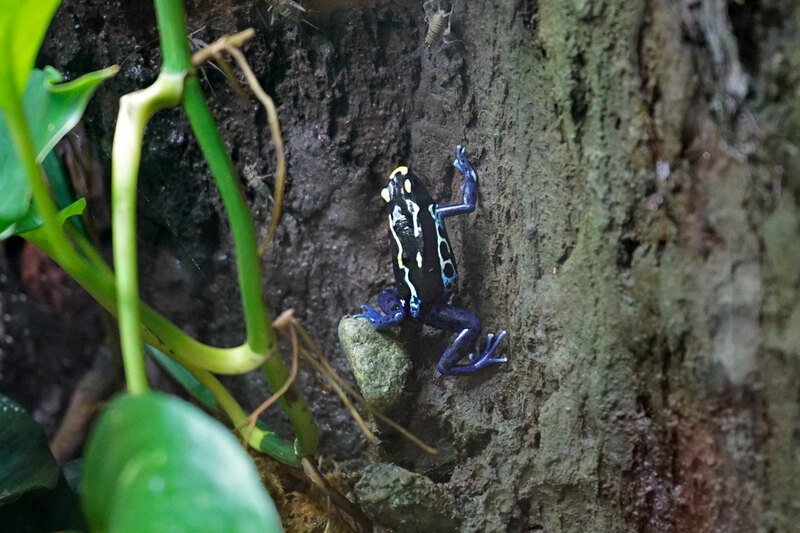 Splash Black Poison Frog, from the rain forests of Brazil. 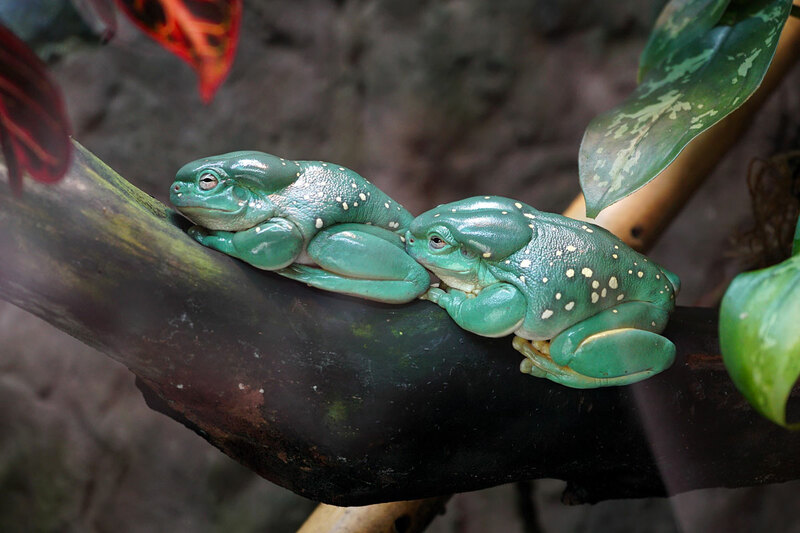 A pair of Splendid Tree Frogs, from the northwestern coast of Australia. Oh my... those Splendid Tree Frogs look like extra-terrestrials; maybe even sentient extra-terrestrials. I think whoever named them 'splendid' was making a little joke. And yet, I can't stop looking at them... weird. 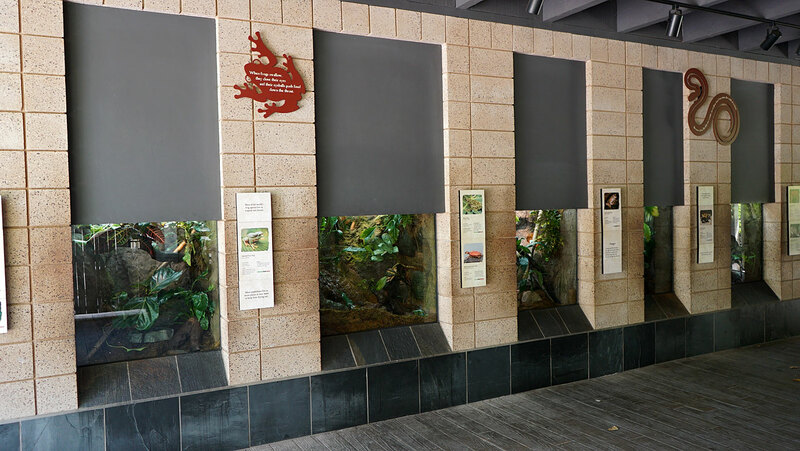 Next are the California Native Species exhibits, which means they probably collected most of these reptiles from the canyons and hiking trails around San Diego county. We do have a lot of snakes in and around San Diego. 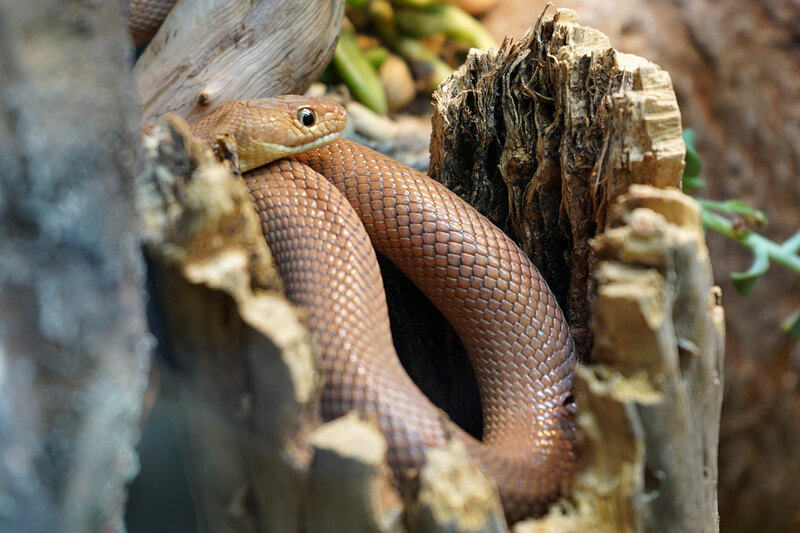 Baja California Rat Snake, from Baja California, Mexico. 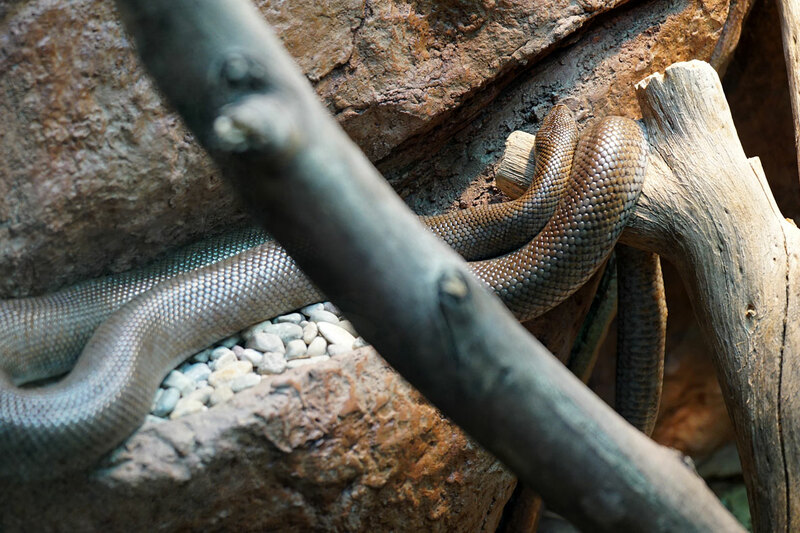 California Coastal Rosy Boa, found in the deserts of southwestern California and Arizona. 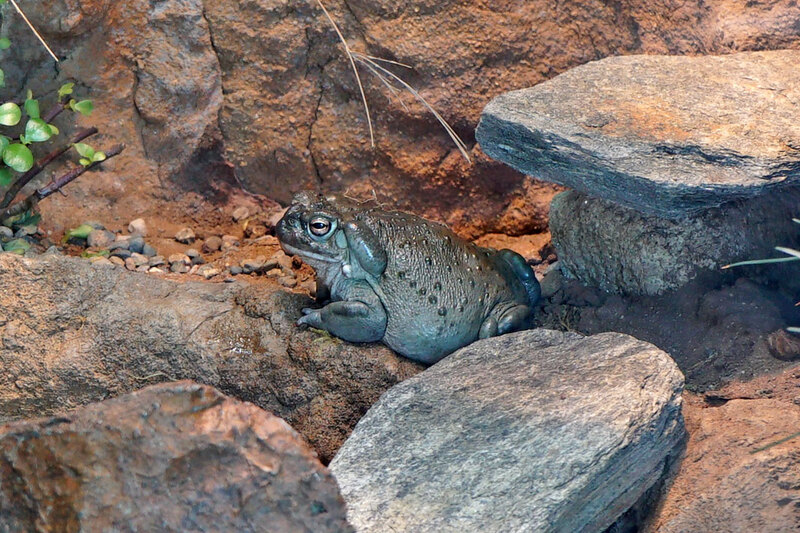 Colorado River Toad, from southwestern U.S. and Mexico. 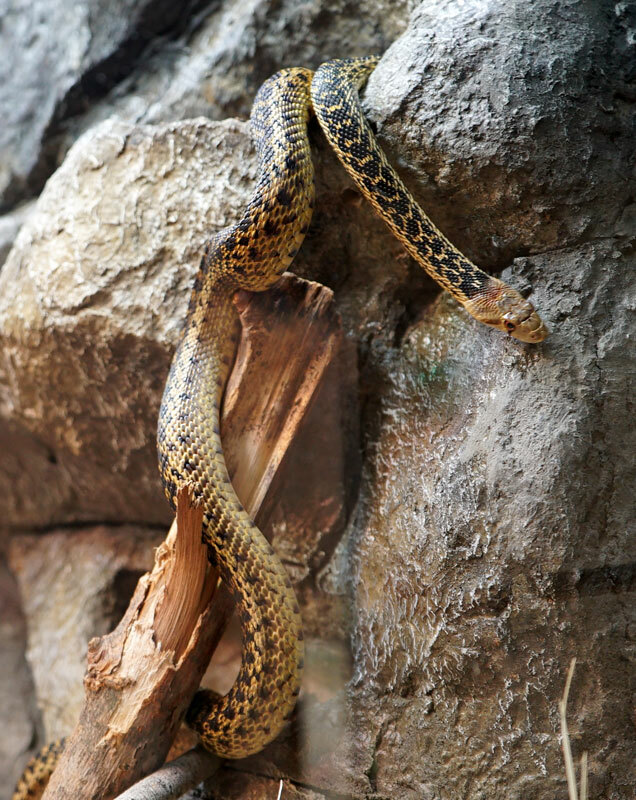 San Diego Gopher Snake, from Southern California to Baja. 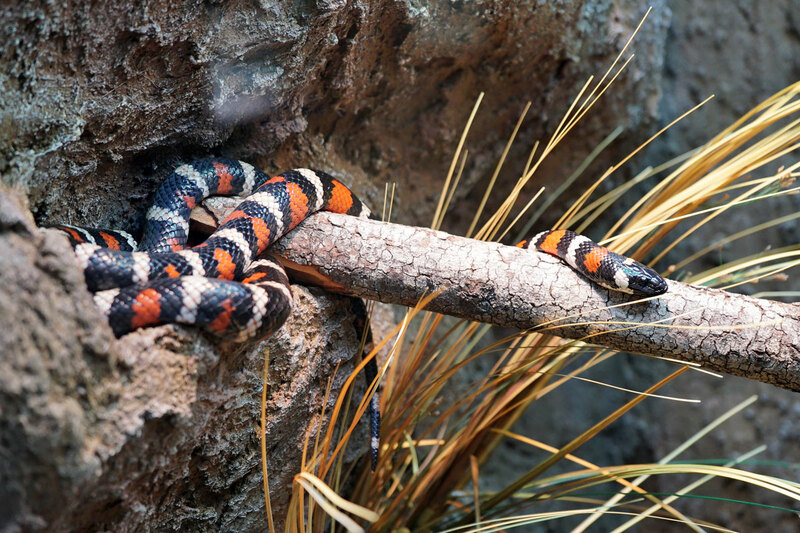 San Diego Mountain Kingsnake, from San Diego. 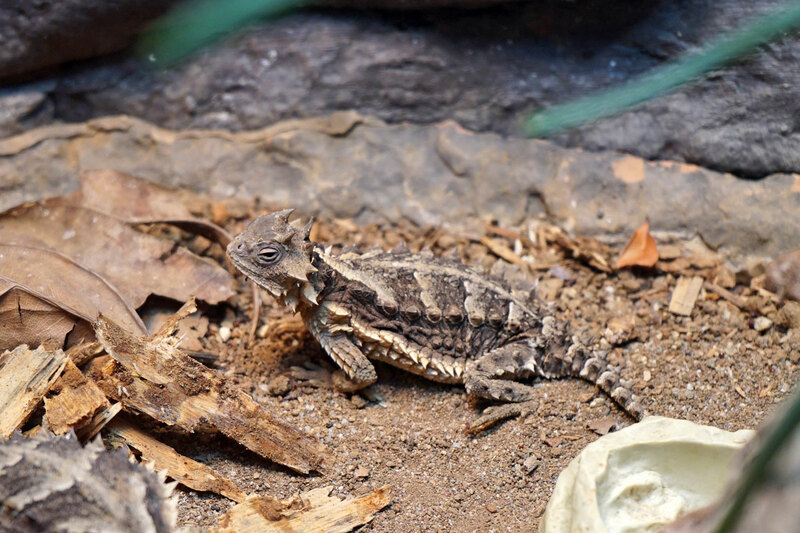 Quote: "California Giant Horned Lizard, found in dry tropical forests from Mexico to Guatamala. 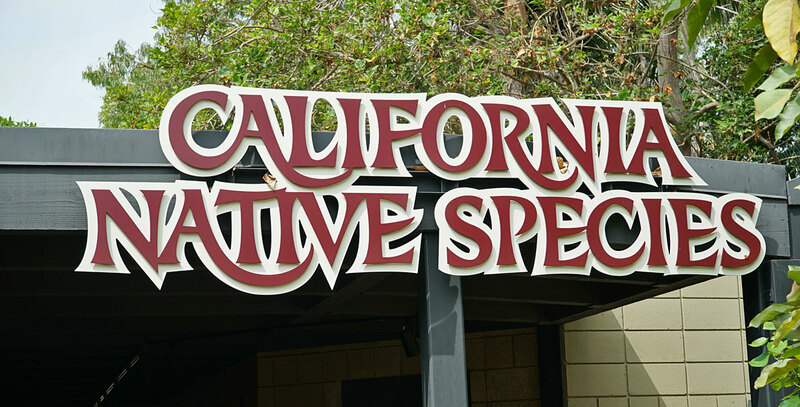 (So what's he doing here with the California Native Species? )" Well, obviously his parents came to the U.S. just before he was born; so now he's a native Californian. And btw, "California" Giant Horned Lizard was a typo. It's just Giant Horned Lizard. 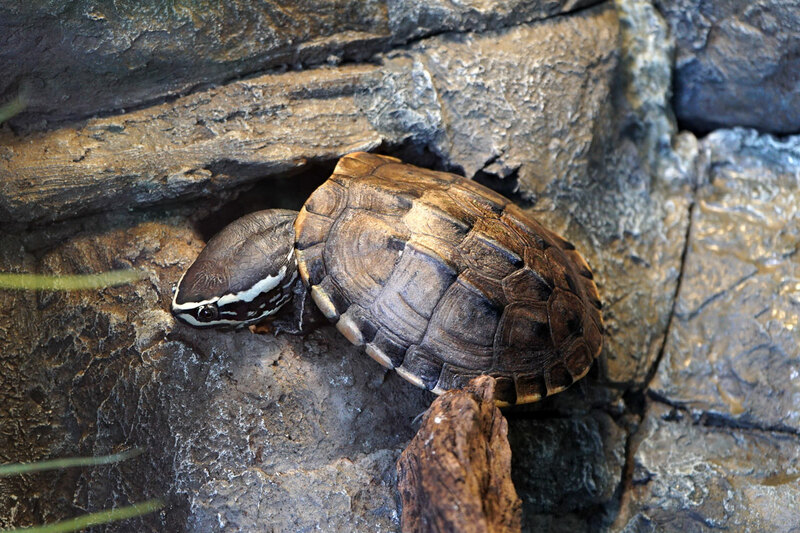 The final exhibit in the Reptile Walk is the Turtles. 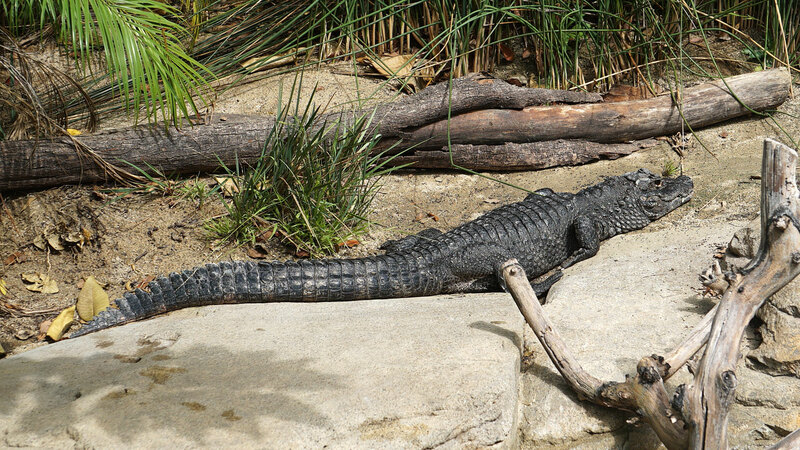 Before we get to the turtles, we pass the Chinese Alligator, an extremely endangered reptile. Only a few are left in the wild, with most of today's population living in breeding centers. 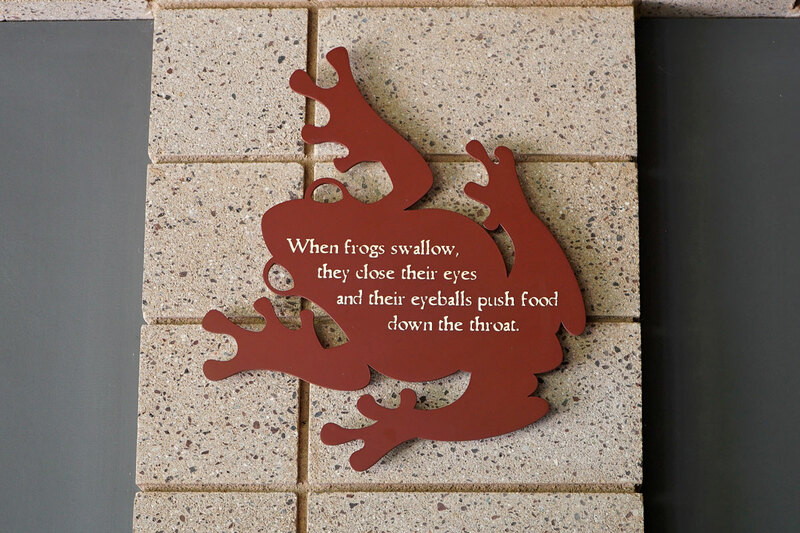 An informative sign at the Turtle Exhibit. Most of the turtles here are aquatic, which made photographing them extremely challenging. But I did my best. 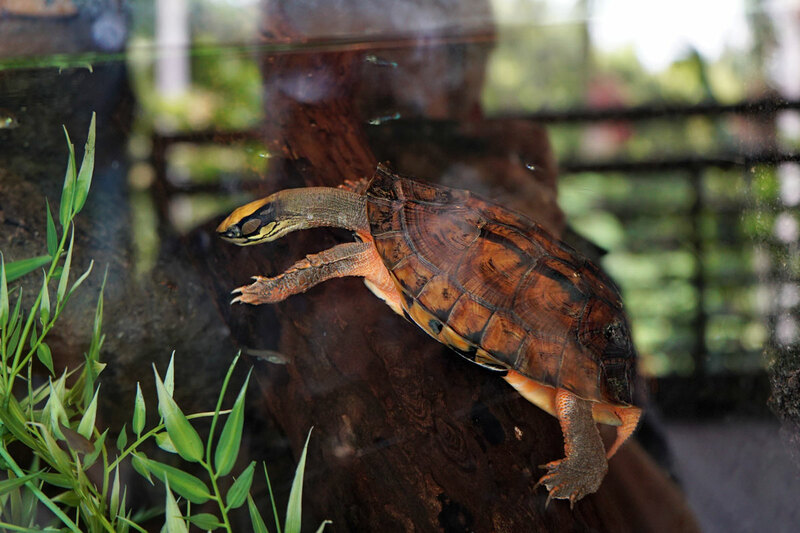 Chinese Three-striped Box Turtle, from southern China and northern Vietnam. 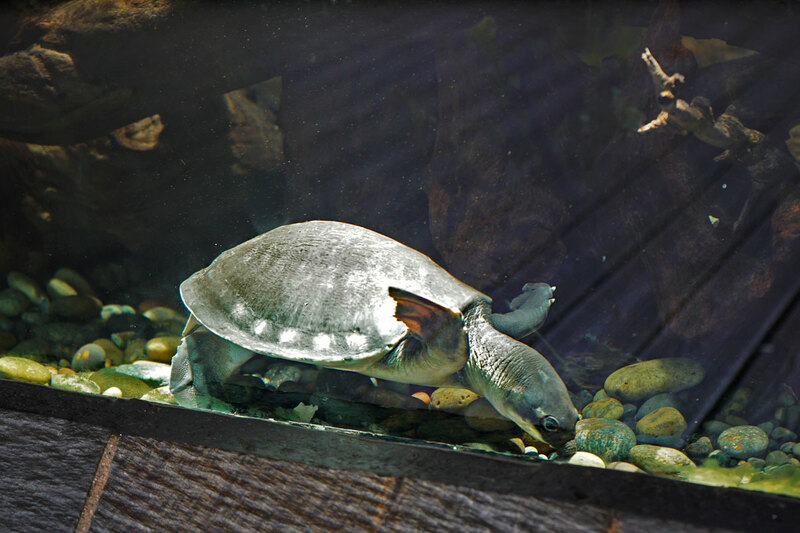 Fly River Turtle, from northern Australia and New Guinea. Malayan Snail-eating Turtle, found in the wetlands of southeast Asia. 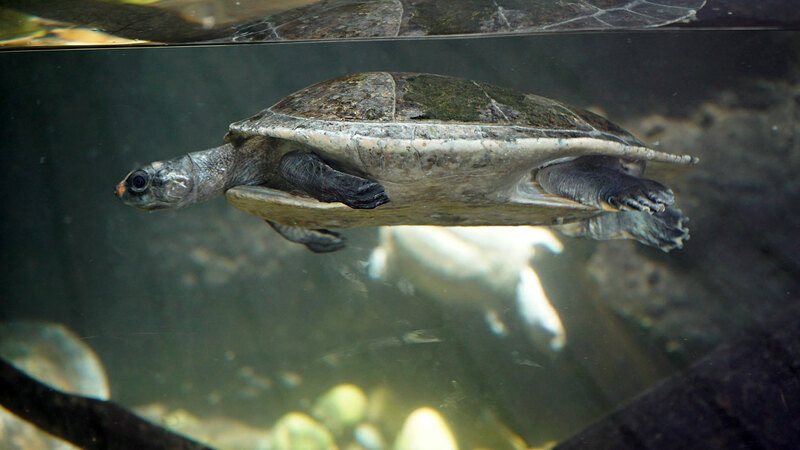 Red-headed River Turtle, from South America. 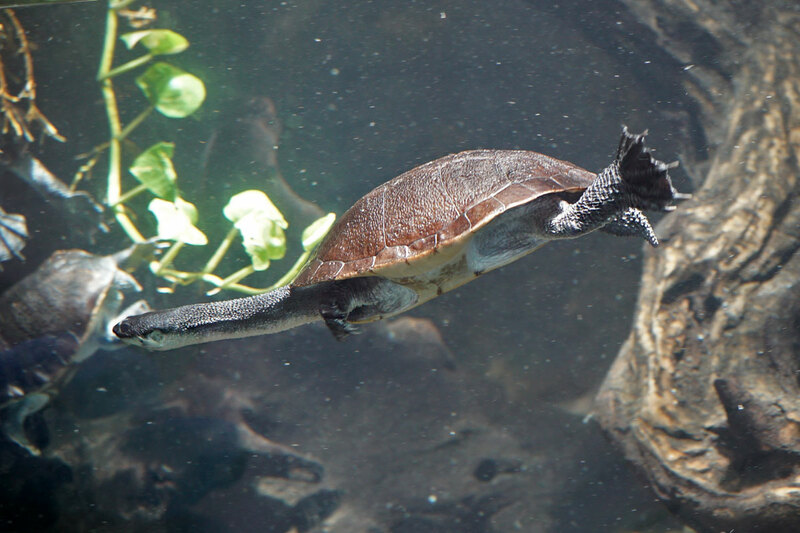 Roti Island Snake-headed Turtle, from Indonesia. 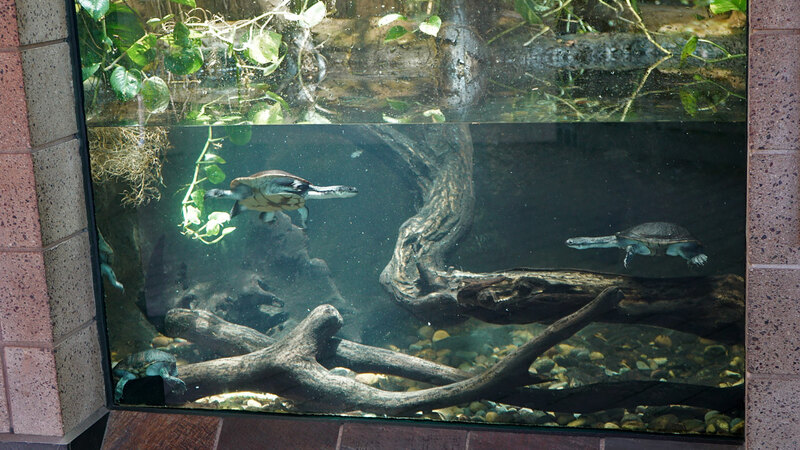 A pair of young West African Dwarf Crocodiles are here, the first crocodile species ever hatched at the San Diego Zoo. They were born in October of 2017. 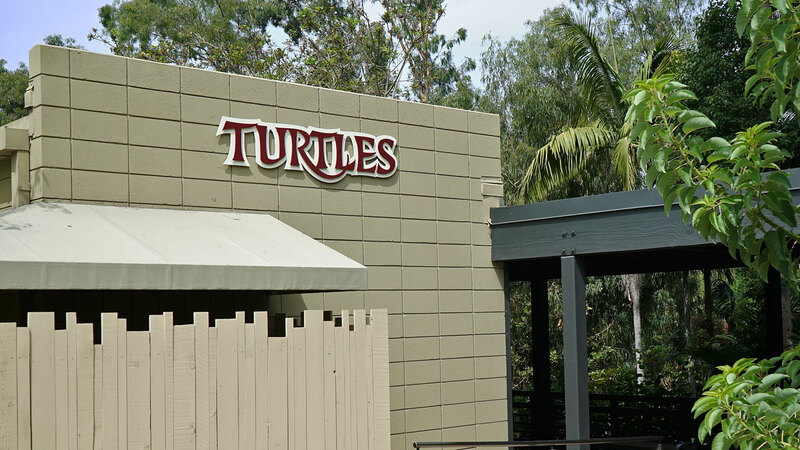 Perhaps there was nowhere to house them and the turtles graciously offered them a spot in their enclosure. 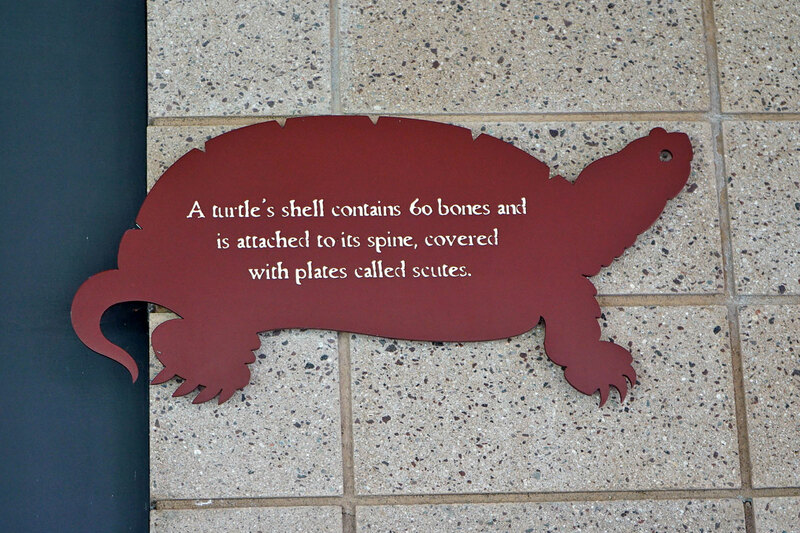 Quote from sign: "A turtle's shell contains 60 bones and is attached to its spine..."
What?! You mean turtles can't just slip out of their shells whenever they want to? THE CARTOONS LIED TO US!!!! Seriously though, who would've thought that, evolving over time, bones and 'scutes' could specialize themselves to form protective shells? It's a marvel of natural engineering.